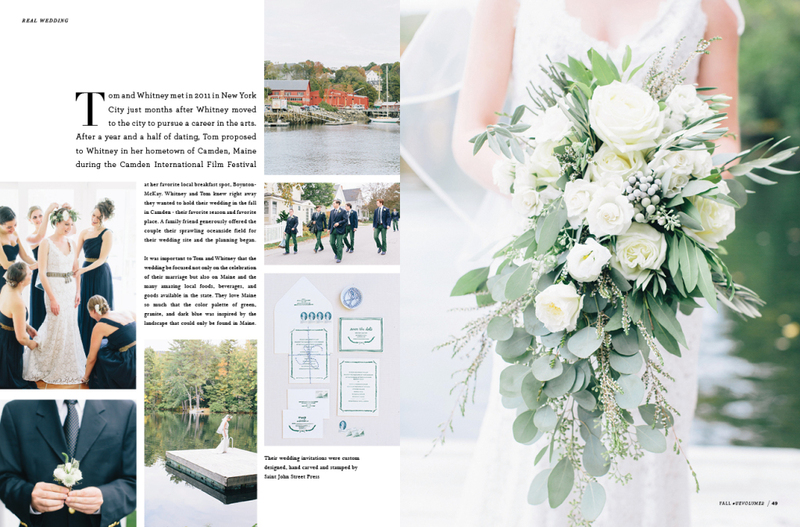 What a pleasant and serendipitous surprise to find the beautiful wedding of Whitney + Tom published in Utterly Engaged Magazine on the very week of their first anniversary. Whitney + Tom were married last fall on the beautiful, rocky coast of Camden, Maine. The bride’s stunning style made every detail of this perfect day appear effortlessly simple. An exquisite Autumn day in the field. An intimate dinner in the tent under the lights. Love all around. 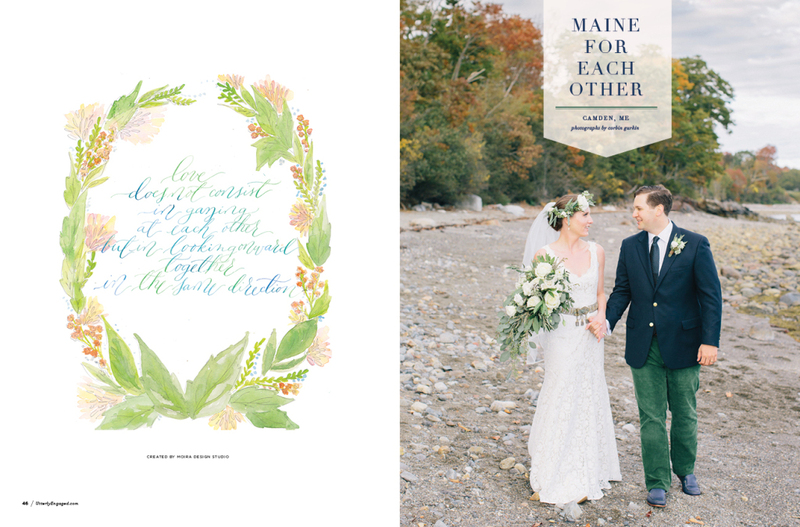 A nod to all things Maine. Utterly wonderful. I was honored to be a part of this day and thrilled to be a part of the team with so many other fantastic wedding professionals. 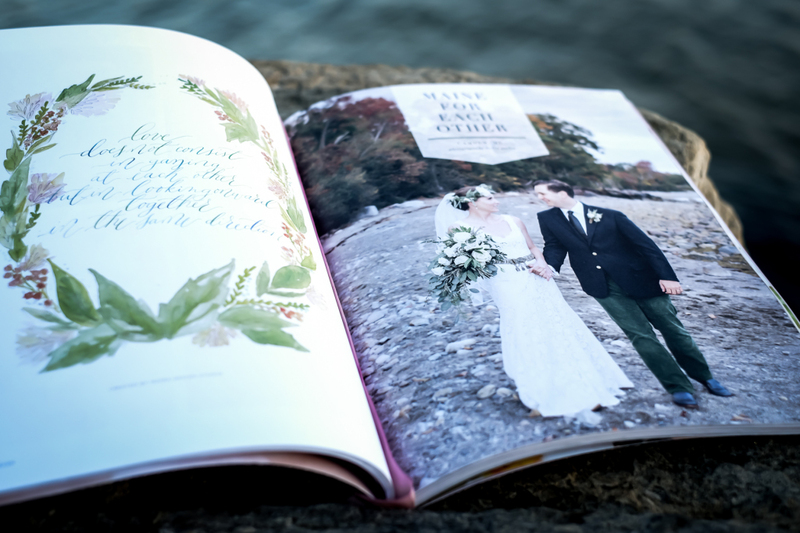 A special thanks to the extremely talented Corbin Gurkin who captured the day in the way that only she can – her images, which grace the pages of this publication, are truly amazing. 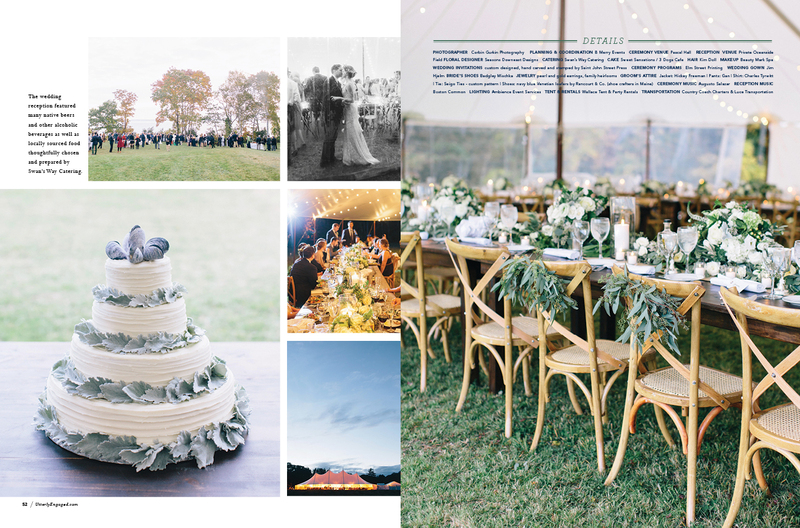 Cheers to your first anniversary, Whitney + Tom! 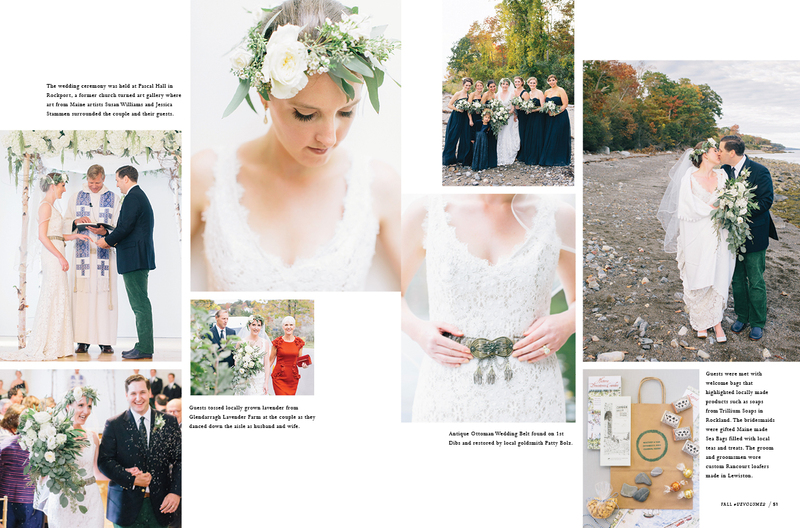 Below are the beautiful layouts from the magazine. Click on the images for larger views. While I’m sure you’ll enjoy browsing these online images, you really should pick up a copy of the magazine here. To hold this publication in your own two hands is really something special. 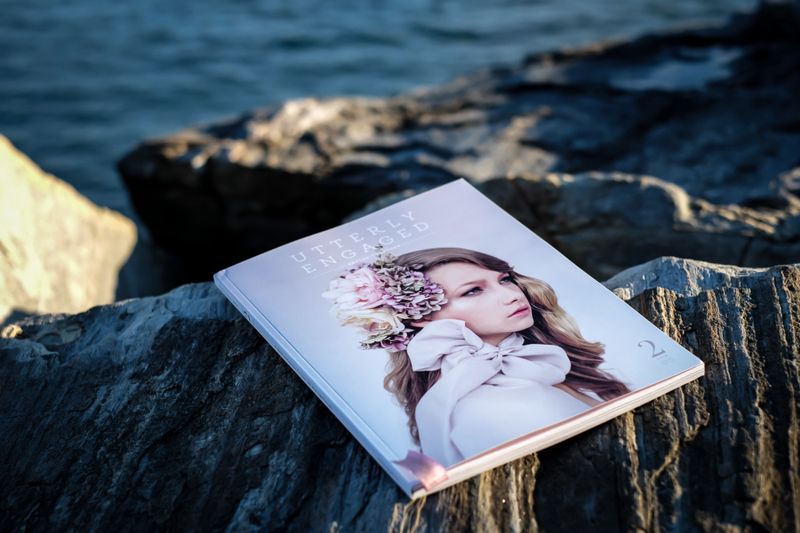 Utterly Engaged is a fabulous print and online wedding magazine for everyday brides with style looking for unique inspiration and resources for their wedding.